The following paintings will be included in my upcoming solo show at the Koth Gallery, August 2019. 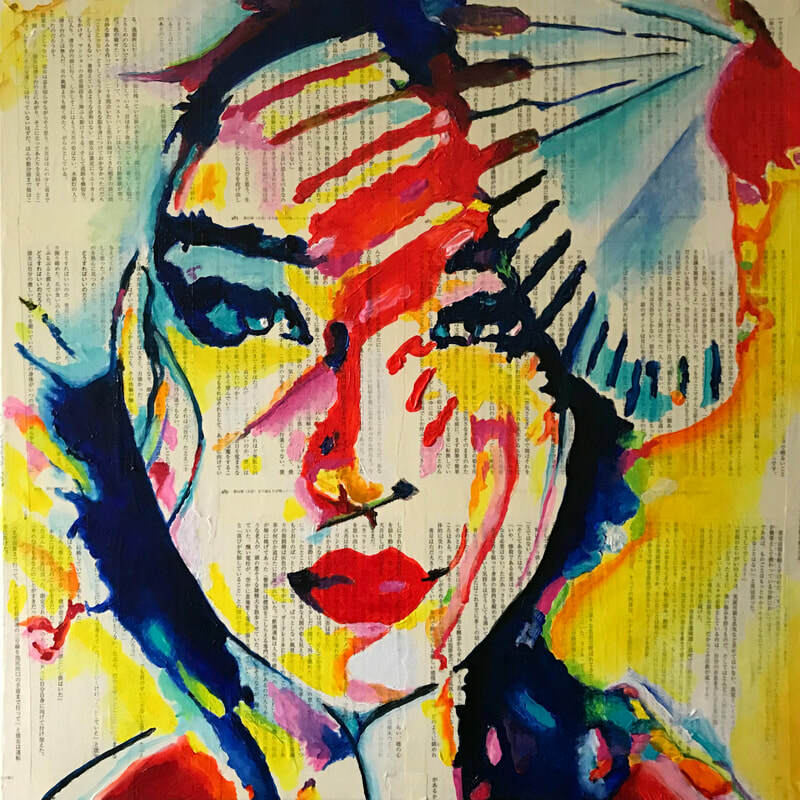 MODERN GEISHA (20" x 20") painted on pages from Murakami's novel, 1Q84. 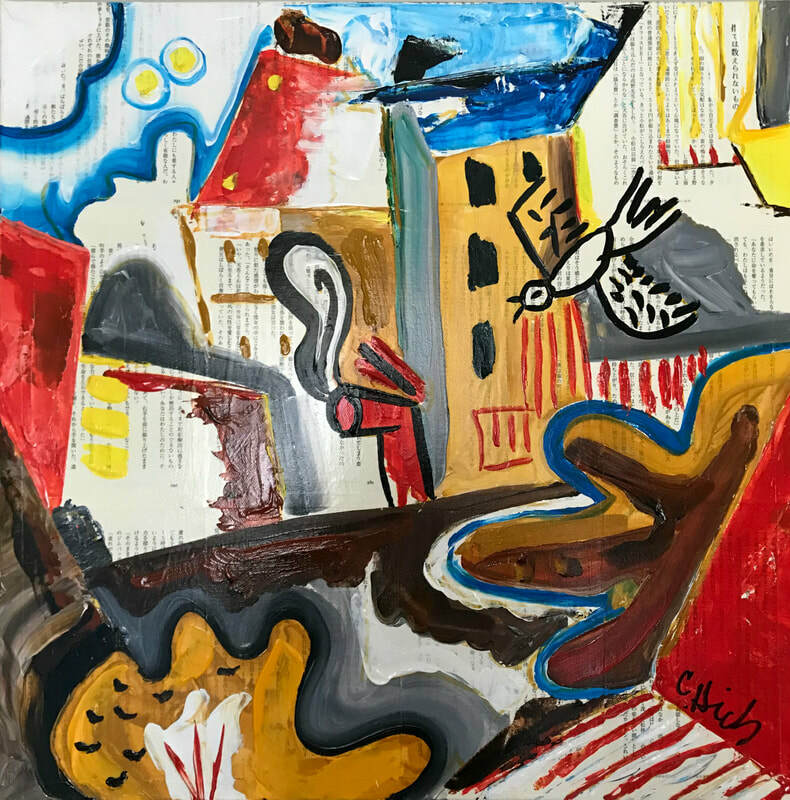 INDUSTRIOUS BIRD, TWO MOONS (20" x 20") painted on pages from Murakami's dystopian novel, 1Q84, Japanese text. 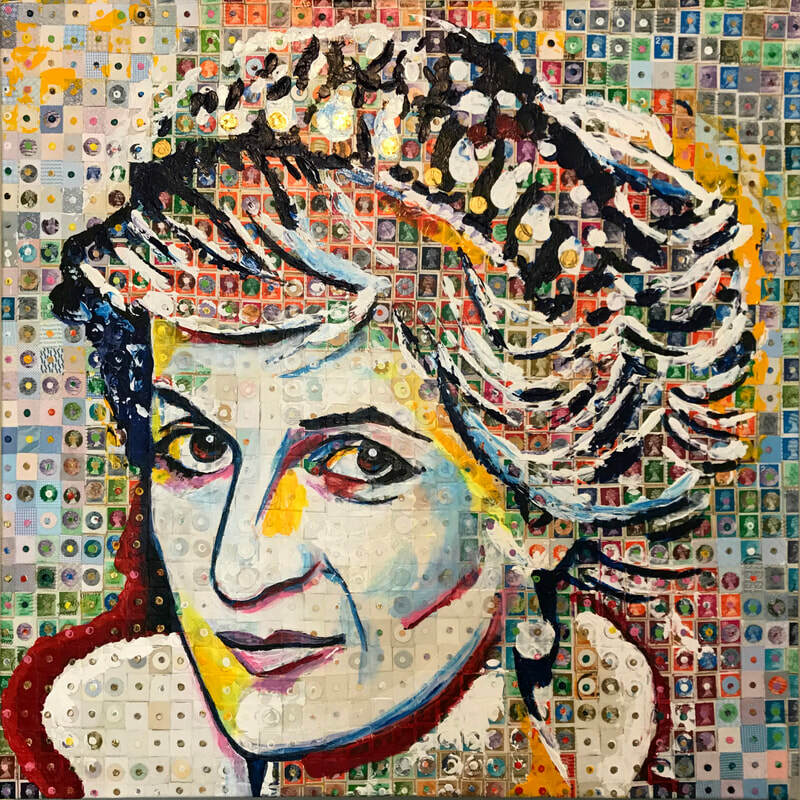 LOVE LETTER TO PRINCESS DIANA (30" x 30") painted on vintage British postage stamps.